We’re excited to announce that our Web Application Firewall (WAF) solution is a finalist for the SC Awards 2018 in the Best Web Application Solution category. The mission of the awards program is to recognize and honor the accomplishments of companies and cybersecurity professionals that are creating new and innovative ways to safeguard their business' and their customers' critical data in North America. Selected by an expert panel of judges, Neustar’s WAF solution was chosen based on its ability to address a variety of issues, including functionality, manageability, customer service/support and more. Our WAF solution is a powerful tool that works alongside our SiteProtect DDoS mitigation service to protect businesses against volumetric attacks and web application threats, without compromising network performance. 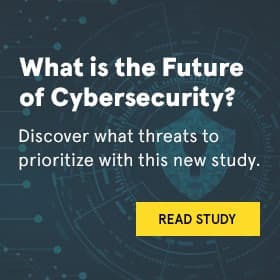 Unlike most other existing WAFs, Neustar’s solution is cloud-based and isn’t restricted by hardware that would limit its ability to scale to customer needs while also requiring software updates to keep pace with evolving cyber attacks. The SC Magazine Award winners will be announced April 17, 2018 during the RSA Conference in San Francisco. Make sure to follow us on Twitter, Facebook and LinkedIn for more on our finalist designation and our security team’s accomplishments.